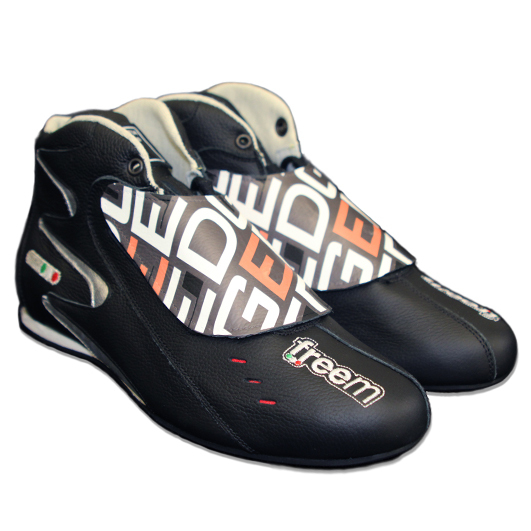 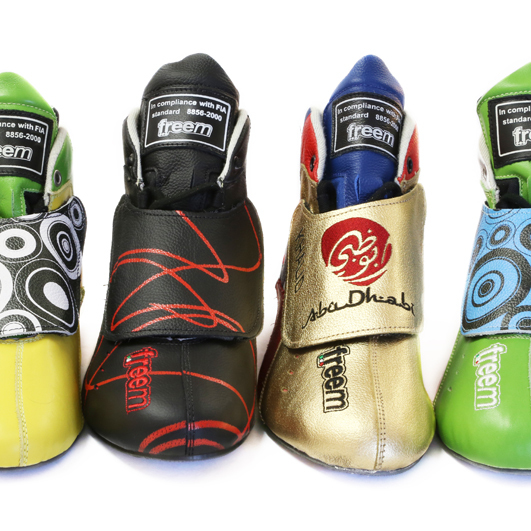 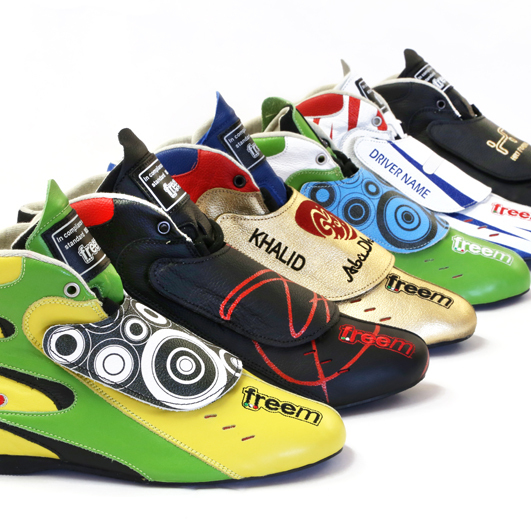 Made from high quality leather and Nomex, FreeM motorsport boots are designed to be as comfortable as possible whilst being fully FIA 8856-2000 approved. 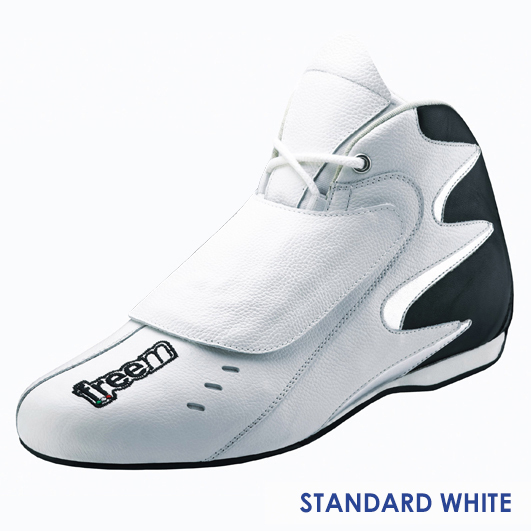 They come with a leather lace flap for extra in car safety. 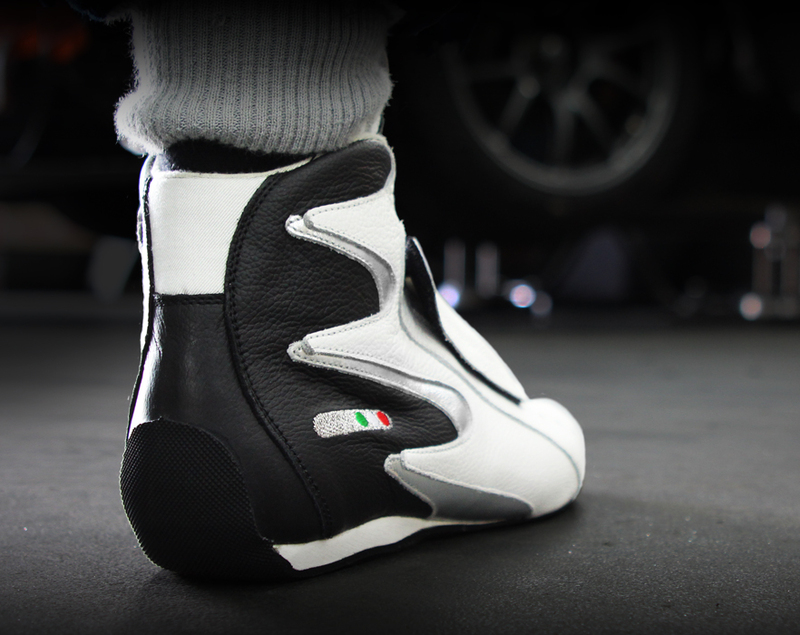 Motorsport boots are available in white or black as standard in sizes 39 to 46. 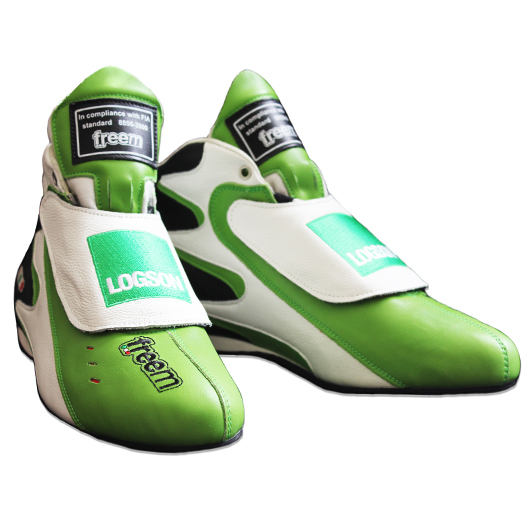 Two levels of customised boots are available. 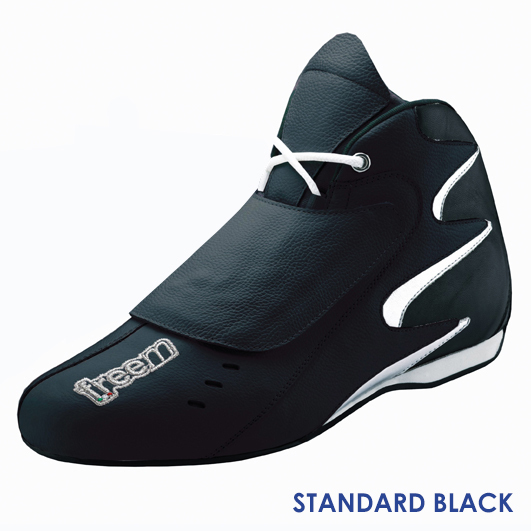 Either the lace flap or the complete boot.